It doesn’t seem very romantic to talk about a prenuptial agreement when you haven’t even tied the knot, but a prenuptial agreement or pre-nup (the correct name is an ante nuptial agreement) is a contract that a couple makes before marriage concerning ownership of their respective assets if the marriage does not work out. It can be an important part of pre-wedding planning for many people and although it is not a pleasant thought prior to a marriage, it can simplify a future divorce if that becomes necessary. If you address marital property in a prenuptial agreement, that property will not be equitably distributed according to Ohio law. Rather, it will follow what is written in the prenuptial agreement unless there is something that makes the prenuptial contract invalid. You can also address separate property in your prenuptial agreement. In Ohio, separate property is what a spouse acquired before marriage, gifts made to you personally while you were married, and any passive income produced from these types of assets. You must fully and accurately disclose all of your debts and the current value of your assets, including any property you own, to your potential spouse prior to signing the prenuptial agreement. You should also attach any exhibits which would help clarify your financial status. You may need to have expert evaluations done if there are business or real estate interests depending on their complexity. The prenuptial document must be in writing and two witnesses should be present when the pre-nup is signed by both parties. The agreement should be reached prior to the marriage but is not effective until the parties are actually legally married. Twenty six states and the District of Columbia follow the Uniform Prenuptial Agreement Act (UPAA), which was adopted in its final form in 1983. 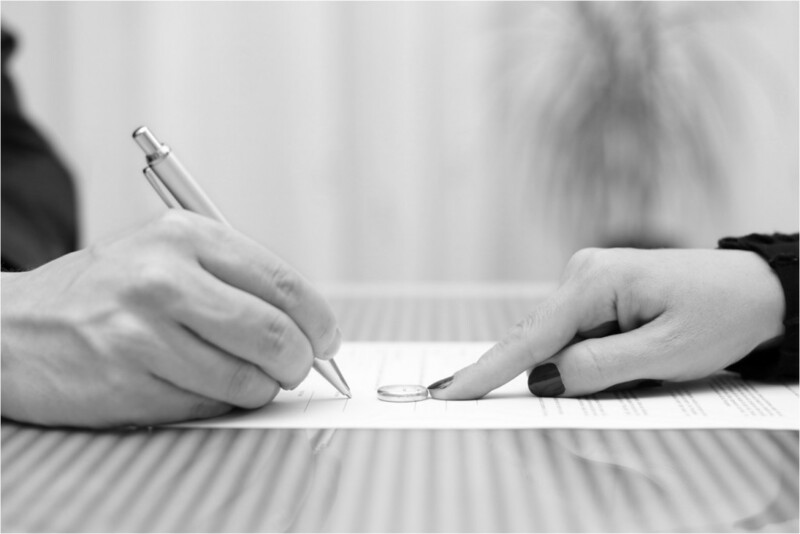 The Act provides that a prenuptial agreement is generally valid if it is in writing and sets forth the factors to consider if the agreement is challenged. It also outlines exceptions to those factors. Ohio has not adopted the UPAA so its prenuptial agreements are controlled by state law. The longer you and your potential spouse have to think about your prenuptial agreement, the better, and the stronger the contract will generally be when it is completed. Begin planning for the pre-nup as soon as both parties agree a prenuptial agreement is something they would like to pursue. It will take time to prepare it and have both parties and their attorneys review it. Courts want both potential spouses to have the opportunity to contemplate the seriousness of the agreement and its legal consequences. A prenup that is signed very close to the wedding date could be construed as being signed under duress by one of the parties and could be considered an unenforceable contract. Can You Fill-Out an Online Form? In any contract it is important to remember that its provisions can very seriously affect your life. This is especially true with a prenuptial agreement. Therefore, it probably is not a good time to cut corners and fill out a Prenuptial Agreement form you have obtained online. Each party should have an attorney to represent them because prospective spouses are legal adversaries in this situation. Each is contemplating what will happen if the marriage is not a success. Your best interests are separate. If one lawyer represented both of you, he or she would have to look out for one spouse at the expense of the other. Having separate lawyers also helps prevents agreements that are one-sided or even potentially fraudulent. A prenuptial agreement does not address issues related to child support, custody and visitation or something like agreeing to bring a child up in a certain religion. Child support and custody matters are decided by the court with the best interest of the child as the guiding legal principle. The couple making a premarital contract may have no idea what that “best interest” would be and there may not even be any children. However, this is a reason to make sure to include a severance clause in your pre-nup. This states that if the court finds one part of the agreement to be invalid, the remainder of the agreement will be enforced. Many times later action by the parties can void all or part of a prenuptial agreement. For example, combining credit card accounts or adding a spouse’s name to a property deed may change the outcome of a prenuptial contract. It is a good idea to consult with your attorney before making these types of changes even if they seem simple. If each spouse has voluntarily entered into the agreement and fully understands the nature and value of the other’s property, and if each has fully disclosed his or her liabilities and assets, the pre-nup should be enforceable. The agreement must also be reasonably fair. Your attorney should review the document to make sure it meets these criteria. Although a couple can agree on spousal support in the prenuptial, if the alimony award is unconscionably low compared to the husband’s large income at the time of divorce, the award will likely be altered. It will be interpreted as not reasonably fair. The situation will be judged as of the time of the divorce, not when the contract was signed. An agreement will not be enforced if there is found to be fraud, misrepresentation, undue influence, or duress and/or if terms of the agreement are contrary to law or against public policy. As said previously, agreements reached very close to the wedding date will be suspect. If only one of the people to be married favors creating a pre-nup or if the two parties disagree about what should be in it, conflict may arise before the marriage. However, these issues would probably surface sooner or later so it may be best to have discussions about these topics at an earlier stage in the relationship rather than have disagreements after marriage. Many in the general public believe prenuptial agreements are only for celebrities or other wealthy people. This is not true. They can be beneficial to ordinary people in many circumstances. Bringing the matter up in conversation with your partner may be difficult as they may view a request for a formal agreement concerning the marriage as a sign you do not trust them. This is something you will need to talk about. If you are thinking about a prenuptial agreement, we have many years of experience working with couples on pre-nups. We can write or review your prenuptial before you enter into marriage. Please contact us by calling 1-888-774-9265, chat with one of our 24-hour live chat representatives or send us a website message. You will receive a straightforward and complete evaluation of your pre-marriage needs.